As you have probably noticed over the past few months, I have been in a muffin phase. I still have two more muffin recipes to share in addition to this one and plan on baking more next weekend. 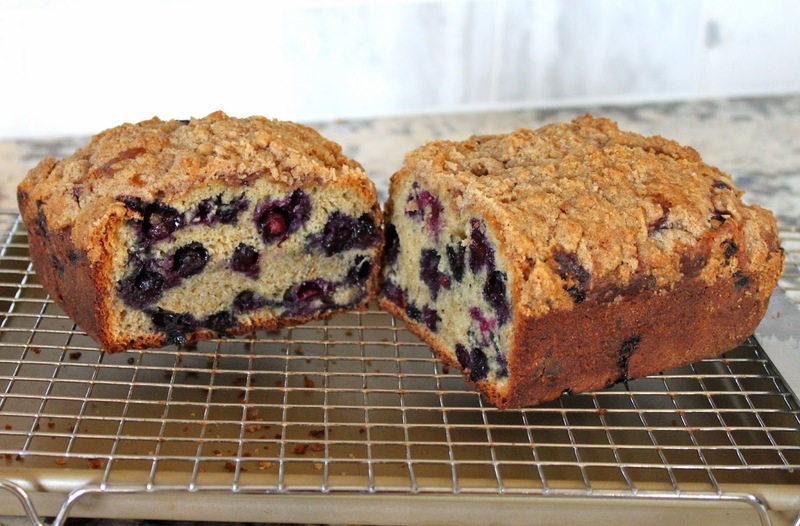 This time around I thought I would try turning my favorite blueberry muffins into a cake. The idea was brilliant because this cake was perfect! I brought it to the birthday party of my good friend's daughter. It was a morning party and I thought it would be a nice addition to the treats she was providing. The cake was loved by everybody and I will definitely be making it again....and again. Preheat oven to 375 degrees Fahrenheit. 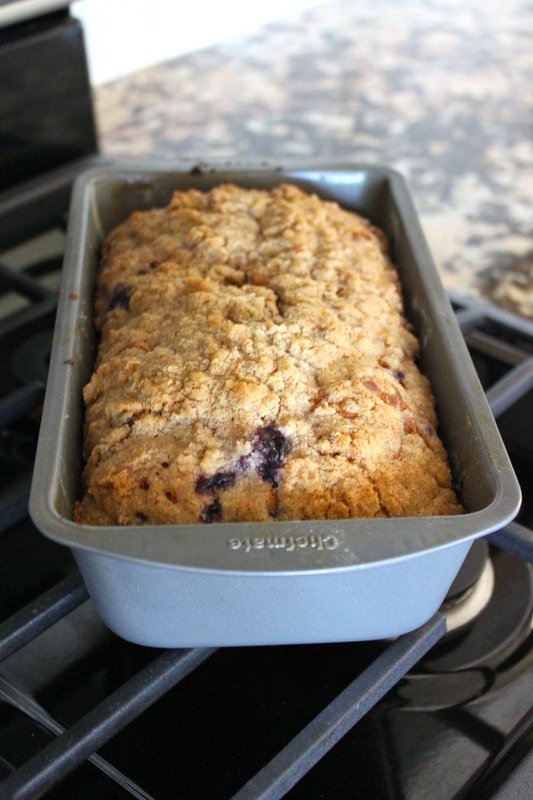 Grease a standard loaf pan with butter or non-stick spray. In a medium bowl mix together flour, salt, baking soda, and cinnamon. In a large bowl beat together eggs, white sugar, and brown sugar. Mix in oil, vanilla, and sour cream. Mix dry ingredients into wet mixture (be sure not to over-mix, batter will be lumpy). Gently fold in blueberries. Pour batter into prepared pan. Bake in preheated oven for 45-55 minutes until golden brown and a toothpick inserted into the center comes out clean. I'll bet this is amazing when eaten warm.